Werk-Brau's Pavement Removal Bucket is specifically engineered for the removal, handling and loading of pavement slabs and cement. 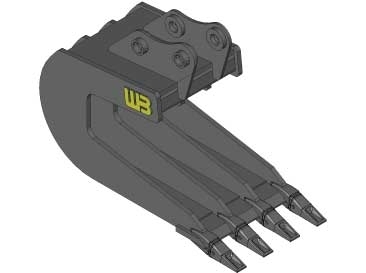 The distinct shape of this Bucket makes it easy to wedge under a slab of material to pry it up away from the ground in one or more pieces. 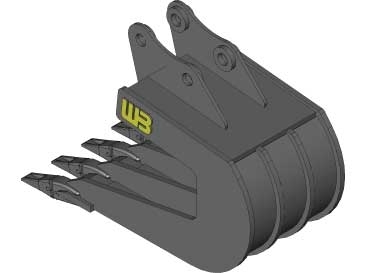 The inclined sides of the Bucket aid in prying the pavement or cement free. Not designed for normal dirt excavation or digging. This Bucket can be paired with a thumb. Widths range from 18" to 54". Special widths available upon request. Different teeth styles are available. Special designs and capacities are available, please request a quote from a Dealer or contact Werk-Brau directly.